Potash developer Emmerson is moving closer to production at Khemisset following the completion of an environmental baseline study. Morocco-focused potash developer Emmerson (LSE:EML) is moving closer to production at its Khemisset project following the completion of an environmental baseline study at the site. The study indicates that there are no areas of concern or “fatal flaws” that would impact the project’s scale, location, cost or profitability. The recent environmental analysis confirms the findings of an earlier scoping study completed in November 2018. “We are delighted with the successful completion of the environmental baseline study, the results of which show there are no environmental or social red flags which could impact our planned accelerated development schedule,” Emmerson Resources CEO Hayden Locke said in the announcement. The assessment focused on the potential impacts the project may have on a variety of areas, including: soil types, flora, fauna, climate, topography, elevation, surface water and groundwater. “The completion of the baseline study is an important step forward and allows us to continue to rapidly advance the project while minimizing the potential for adverse social and environmental impacts in the future,” Locke added. The previously completed scoping assessment specified that Khemisset has the potential to be one of the lowest-capital-cost, highest-margin potash projects around the globe. 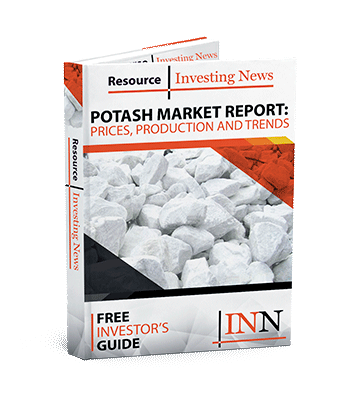 The potash project has estimated earnings before interest, tax, depreciation and amortization margins of 60 percent or more, as well as a post-tax net present value of over US$1.1 billion at an annual discount rate of 10 percent, based on industry expert price forecasts. Emmerson will now move ahead with a complete environmental and social impact assessment, which will be included in the application for a mining license. “We look forward to continuing to deliver on our many development objectives and timelines as the year progresses and we move the world class Khemisset project towards production,” Locke said. Shares of Emmerson were up 0.35 percent on Wednesday (March 20), trading at GBX 3.61.